This loop continues for an ideal customer. Yes! An ideal customer would have 9 tabs open and is flipping through trying to find the best product/information. Just question yourself – Is there something that will stop him? Or he will click and abandon it? What’s the black in the white that would allow him to ditch your site? Do you know he will certainly come to a decision about the quality of the information even before he goes through it? Well, it is based on your website’s design. If the site’s design doesn’t pass muster, chances are that he may never go through the valuable information. He’ll hover over that big X, click it, and make your site go away. If you are new to the online world, you should know that for any business website or blog, design plays a crucial role in attracting visitor’s attention and increasing online sales and growth. In case if your website is not able to make an excellent impression on the visitor then your rival will lead with that potential customer. The world of development welcomes WordPress for developing powerful websites. WordPress has invited new challenges and opened new opportunities for Web designer & developers. The developers will find many subjective blogs upon managing content, developing plugins to create custom website page. However, being a designer it seems difficult to know the rights and wrongs. 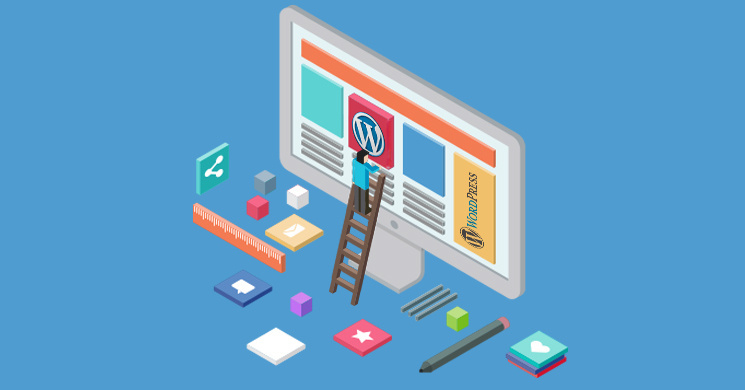 Don’t despair, following are few tips for WordPress designers who are new to WordPress. Do they give a soothing effect? Do they inspire a perfect combination? Well, you need to choose the colors wisely, as they are the ultimate reason for the users to explore your site. The colors of your website provide an opportunity for the people to enter the beautiful space when they hit your home page. Colors function on a subliminal level, as they have the ability to speak to the visitors overcoming the power of what words can say. Give Amazing Look With Limited Color Palette – Along with two dark color black and dark grey text, use two main inspiring colors. Pick an Accent Color – The Accent color will try to draw attention just like a special offer. Can you deal with PHP code? No? Well, there’s no problem with the designers when it comes to managing the PHP code. However, for a designer who just understands mere HTML and CSS would worry when he explores some PHP code. Don’t despair. If you want to become a PHP designer you ought to learn PHP. At least the basic PHP knowledge is a must. Wow! Once you are sure that you will easily deal with the PHP code, the next step will be to get familiar with WordPress functions and themes. The designers always consider the themes for designs as the themes give a proper idea about the website layout and design of the website. Moreover, the designer ensures that he/she is prepared to deal with every problem that can be solved using PHP functions and code. The clients usually request for some JQuery functions that should be added with themes or plugins. Since you are new to WordPress you need to consider the following points to ensure everything goes perfectly. The designer must have knowledge of CSS. The best part about it is that almost all the knowledge is reusable. Though, don’t forget to learn about the WordPress specific CSS. Including any custom fonts on your website would surely take time and extra effort but they are worth for it. Choose the fonts that reflect your brand’s personality and believe us, it will make your site look more professional. Moreover, an important to check is never overcrowd your blog with different kind of fonts or colors. This would certainly affect the user’s eye and at last, he will leave the site. So make sure that you choose a background and a font color that looks great together, as the right font type and color will make a great visual impact. Shopify Vs Magento: Whom To Choose And Why? Water Supply – On Demand Water Bottle Delivery Mobile Apps! Everything You Ought To Know About Shopify Plan Calculator! © Copyright 2018 Metizsoft Solutions Pvt. Ltd. All rights reserved.